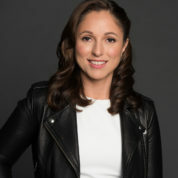 Dina Shoman is the Founder and CEO of inherQuests, a financial education startup dedicated to empowering young girls. She was previously EVP of Branding and Board Member at Arab Bank, and is a Young Global Leader with the WEF. "Education is the one thing that no one can ever take away from you. I am who I am because of both my parents and my teachers, and I am happy to be part of this prize to spotlight and honor the greatness of teachers around the world!"